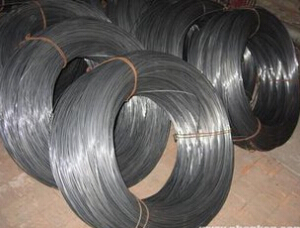 Product categories of Iron Wire, we are specialized manufacturers from China, Iron Wire, Galvanized Iron Wire suppliers/factory, wholesale high-quality products of Black Iron Wire R & D and manufacturing, we have the perfect after-sales service and technical support. Look forward to your cooperation! Iron Wire including the Twist Wire With Cutter,Spool Wire,green twist tie,Coil Garden Wire.A wire is a single, usually cylindrical, flexible strand or rod of metal. Wires are used to bear mechanical loads or electricity and telecommunications signals. Wire is commonly formed by drawing the metal through a hole in a die or draw plate. Wire gauges come in various standard sizes, as expressed in terms of a gauge number. The term wire is also used more loosely to refer to a bundle of such strands, as in "multistranded wire", which is more correctly termed a wire rope in mechanics, or a cable in electricity.